Earlier this year, Zotac released the Magnus EN980, a mini PC featuring Nvidia’s GTX 980 MXM graphics card. 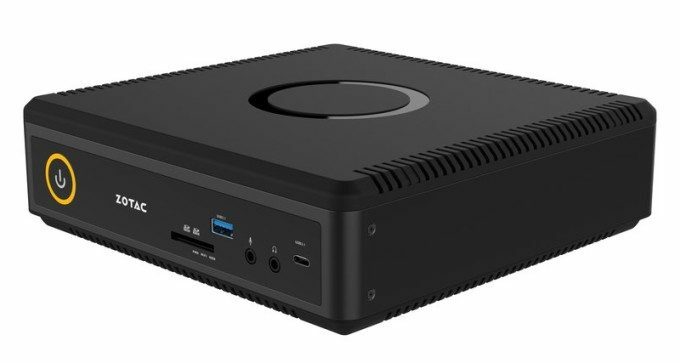 Now, Zotac is aiming for the VR-ready mini PC market again with the Magnus EN1060 and Magnus EN1070, which are equipped with Nvidia’s GeForce GTX 10 Series graphics cards. There will be bare-bones versions with just the CPU, motherboard, graphics and housing, which means you will need to provide your own storage and memory. Other options will include one that’s hardware complete and simply requires an operating sys to install, or complete sys that will run right off of the bat without any fiddling whatsoever. Additional specifications for the EN1060 and the EN1070 can be found on their official product pages. Zotac has not announced any prices or the availability dates as of this writing, but we expect that these to retail well over $1000 USD each considering that the EN980 and its GTX 980 GPU launched for over $1500 USD retail.